Chemistry graduate student Ivan Titaley has been immersed in polycyclic aromatic hydrocarbon (PAH) research within SRP Project 5 – Formation of Hazardous PAH Breakdown Products in Complex Environmental Mixtures at Superfund Sites under Dr. Staci Simonich. 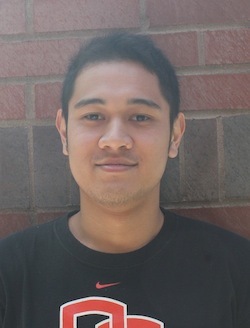 Recently, Ivan was selected by Dr. Dayle Smith as a sponsored fellow at the Pacific Northwest National Laboratory (PNNL) to get hands-on training in modeling of polycyclic aromatic hydrocarbons. This program is through the Office of Science and Engineering Education (SEE) at PNNL. The selection is commendable, and will allow Ivan to apply new modeling techniquesl in his own research on OPAHs and OHPAHs transformation processes. To financially support Ivan on this unique training opportunity, he has been awarded an SRP Trainee Externship Award through the SRP Training Core. This activity provides important synergy between Project 5 and Core C – Biostatistics and Modeling. Dr. Smith will provide mentoring for Ivan to perform computational chemistry work to predict the formation of oxygenated-PAHs (OPAHs) and hydroxy-PAHs (OHPAHs) from higher molecular weight parent PAHs. More specifically, Ivan will be working using the NWChem 6.5 computational chemistry software. Using thermodynamic data on potential OH-PAH-adduct, he will be able to show which compounds will form based on thermodynamic stability. Our Center is multi-investigator, multi-disciplinary and multi-institutional. In partnership with Pacific Northwest National Laboratories (PNNL), and other stakeholders and collaborators, we are developing new technologies to identify and quantitate known and novel polycyclic aromatic hydrocarbons (PAHs) found at many of the nation’s Superfund sites and assess the risk they pose for human health. The research projects in our Center collect large amounts of molecular and chemical data. This data includes measuring PAH mixtures in environmental samples, determining toxicity of PAH mixtures, and the mechanism(s) of action for these toxic endpoints. 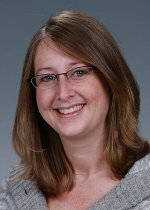 Our Biostatistics and Modeling Core, lead by Dr. Katrina Waters, greatly enhances our Center by providing expert statistical and bioinformatics data analysis support and software solutions for data management and interpretation. 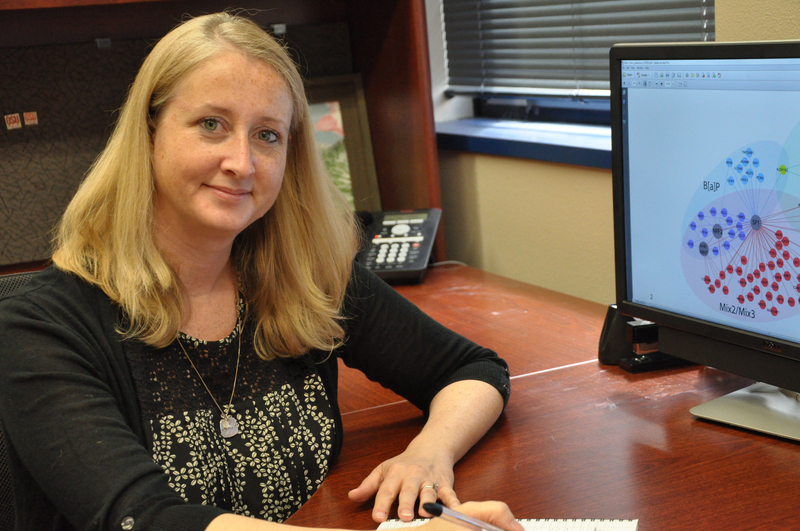 Katrina Waters recently became the Deputy Director for the Biological Sciences Division at the Pacific Northwest National Lab (PNNL). Her expertise is in computational biology, and she works collaboratively with all of the research projects and co-authors with them. This multidisciplinary training of toxicology students and fellows at OSU and PNNL is a unique strength of our program. Our SRP Trainees have benefited greatly from the PNNL partnership. Students have gone to the lab in Richland, WA to be trained in Bioinformatics, Statistics and Study Design. More training workshops are being scheduled for this summer and fall. Waters presented at SOT’s FutureTox II: In Vitro Data and In Silico Models for Predictive Toxicology on January 16, 2014. Her talk was entitled Computational Tools for Integration of High Throughout Screening (HTS) Data. She utilized examples from the collaboration with Robert Tanguay and his zebrafish assay for toxicity testing (Project 3). Dr. Susan Tilton, also from PNNL, presented at FutureTox as well. The title of her presentation was ‘Pathway-based prediction of tumor outcome for environmental PAH mixtures’. In this study, they developed a mechanism-based approach for prediction of tumor outcome after dermal exposure to PAHs and environmental PAH mixtures. Their model was successfully utilized to distinguish early regulatory events during initiation linked to tumor outcome and shows the utility of short-term initiation studies in predicting the carcinogenic potential of PAHs and PAH mixtures. Posted in Events, Research, Researcher Highlight, Training.